While several companies, particularly Amazon, have been developing drone delivery technologies for many years, it seems more work in the area might be required. Over in Russia, a demonstration of a drone making its maiden delivery ended in disaster when it smashed into the side of a building. Reuters reports that the $20,000 UAV, built by Russian company Rudron/ Expeditor 3M, was supposed to deliver a package from the Siberian city of Ulan-Ude to a nearby town. But video footage shows it taking off and hovering in the air before losing control and crashing into an apartment block. The drone hit the three-story building at some speed, annihilating the vehicle in the process. A small crowd of spectators was standing near the crash site, though nobody was hurt. Despite its logo appearing on the drone and the launch pad, the Russian Postal Service says it was only present at the ceremony as a guest; it denied having any part in the launch. 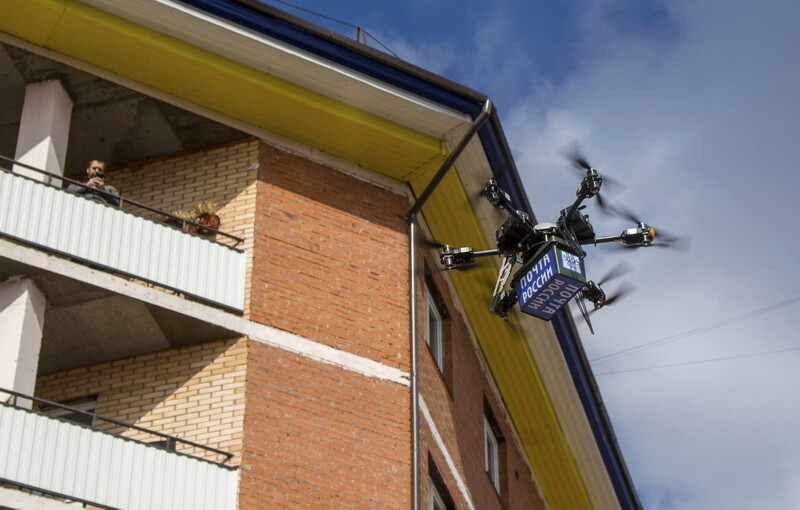 Back in 2016, Russia said it planned to start using drones for delivering parcels across parts of the country. One official at the event said the crash could have been caused by disruption from over 100 WiFi connections in the area. He said the accident didn’t spell the end of the project, and that the team will continue its work. FAA regulations are a part of the reason why Amazon’s drone deliveries are taking so long to arrive. With incidents like the one in Russia still taking place, it could be a while before we see the launch of an official, nationwide drone service.